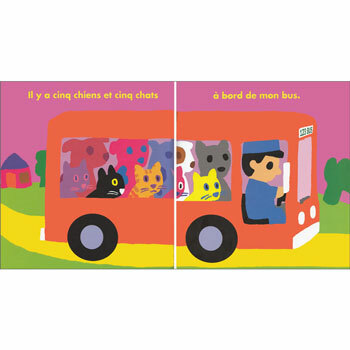 Mon bus is a colourful and simple counting story in French that is good for teaching numbers 1 - 5, animals and methods of transport. Joe's bus travels through town picking up various animal passengers along the way, before he drops them off at different places so that they can continue their onward travel via a different method of transport. 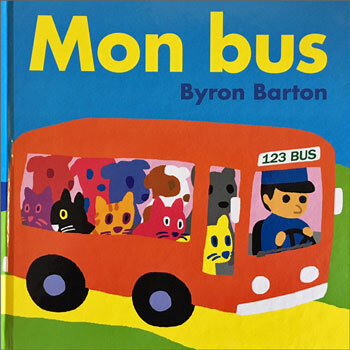 Mon bus is written entirely in French with no English translation or pronunciation guide as it is intended for native users. The language is simple as it is aimed at young children and this would be a good title to share with Early Years or KS1 beginners.